Since its founding in 2006, Downtown Streets Team has been ending homelessness through the dignity of work. We believe that by giving an individual their dignity and pride back, they will set & meet goals, find employment and be empowered! We accomplish this mission by supporting people in an individualized way, never with judgement and always with the passion to work side-by-side.Downtown Streets Team is a work-experience program that aims to end homelessness. 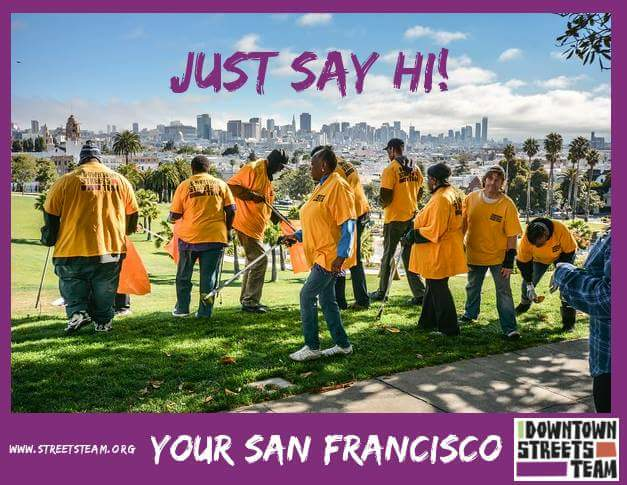 Individuals who are experiencing homelessness or at risk of experiencing homelessness volunteer their time and do beautification projects with our organization around The City. We connect these individuals to a basic needs stipend as well as case management and employment services. But most importantly, we are building community and building a movement to restore hope and dignity to every individual's lives.